Rajesh Kumar, a commerce graduate has work experience in the field of Accounts, Taxation, CS, Audit and Compliance. He has done various statutory and interim audits of different Firms, Companies, NGOs and Banks. 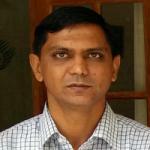 He brings additional experience of accounting in Special Economic Zone (SEZs). At presently he is working with CCS as Associate Finance.